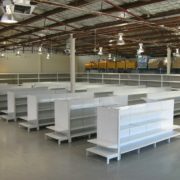 Shelf adjustability: All raised shelves can be moved in 50mm increments, and there is a tilt option on the shelf which allows the shelf to tilt forward approximately 15deg. 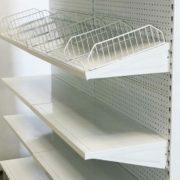 In this case mesh fronts are normal required to prevent items from sliding off the shelf. 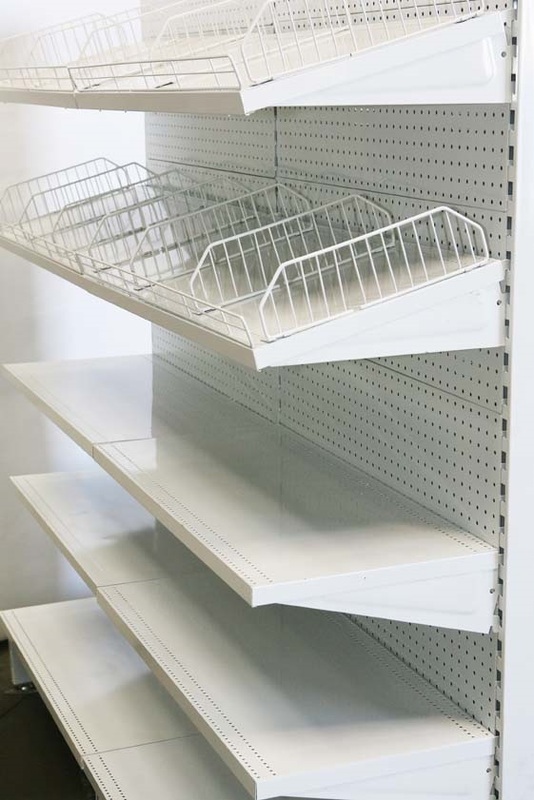 Gondola shelving is widely used in a number of retail businesses such as grocery stores, supermarkets, chemists, hardware stores, discount stores, and convenience stores etc. 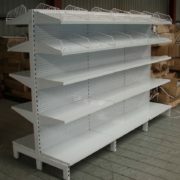 This type of shelf is available with many different hardware accessories e.g. 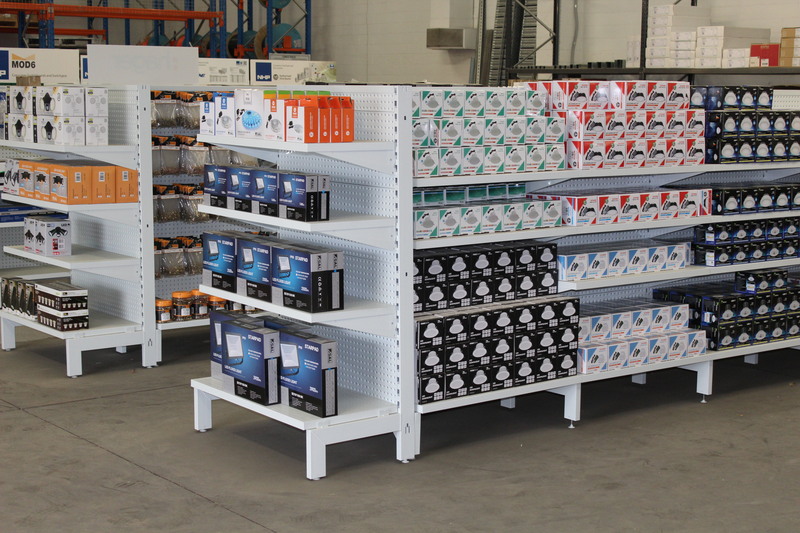 wire fronts, wire dividers, wire baskets and dividers, scanning hooks, straight hooks, square tube hooks, goose neck hooks, data strips, 300mm extensions which allow a variety of applications. 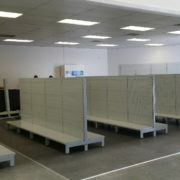 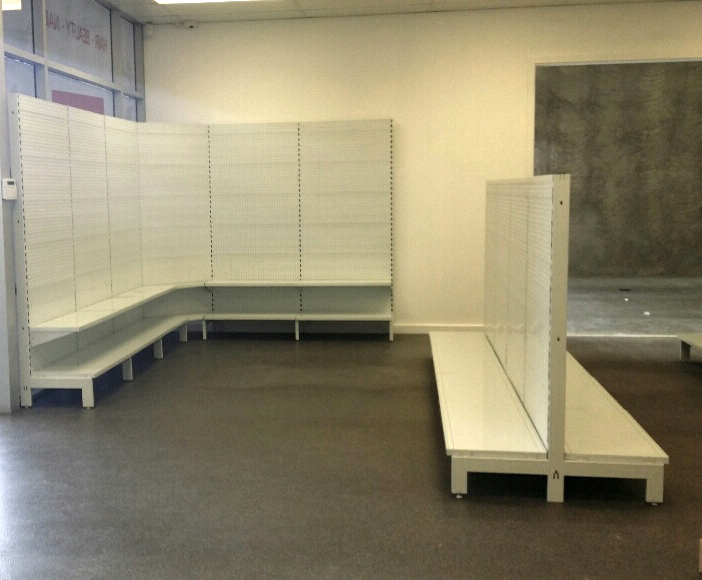 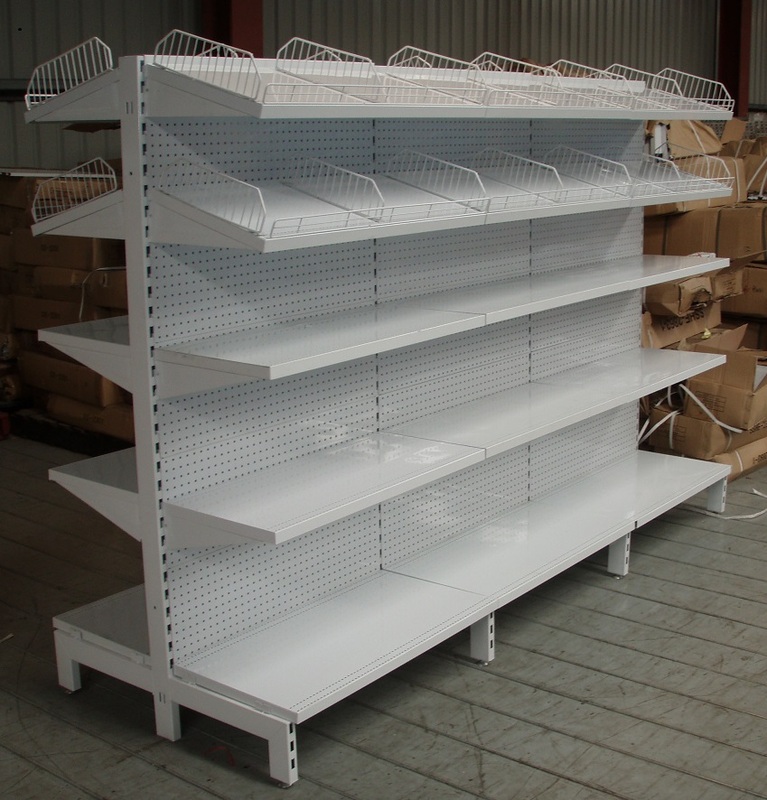 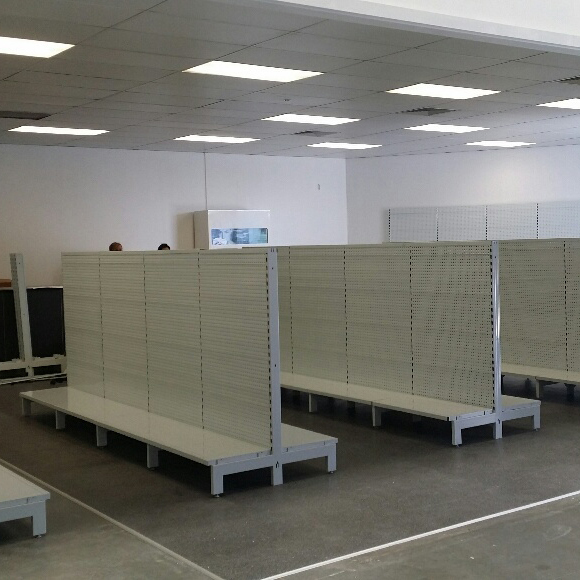 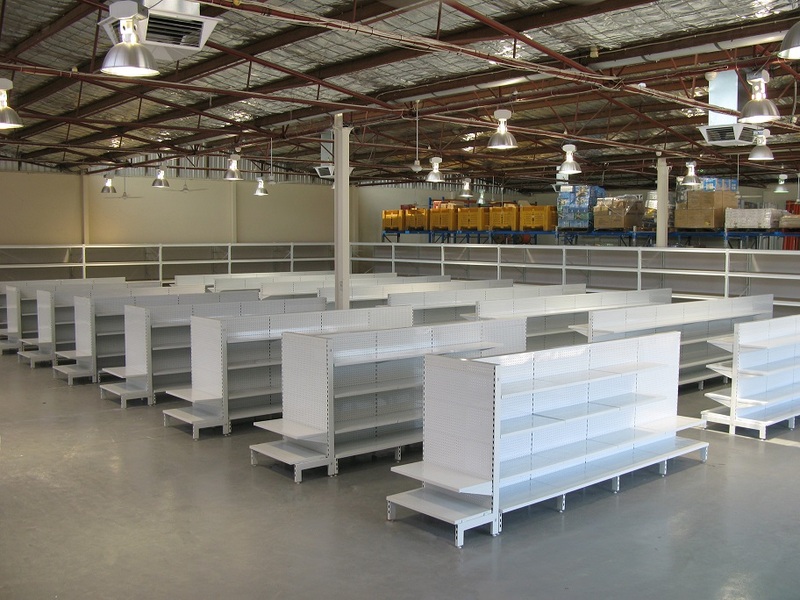 Our gondola shelving unit is available in 3 heights, 1500mm, 1800mm and 2100mm. 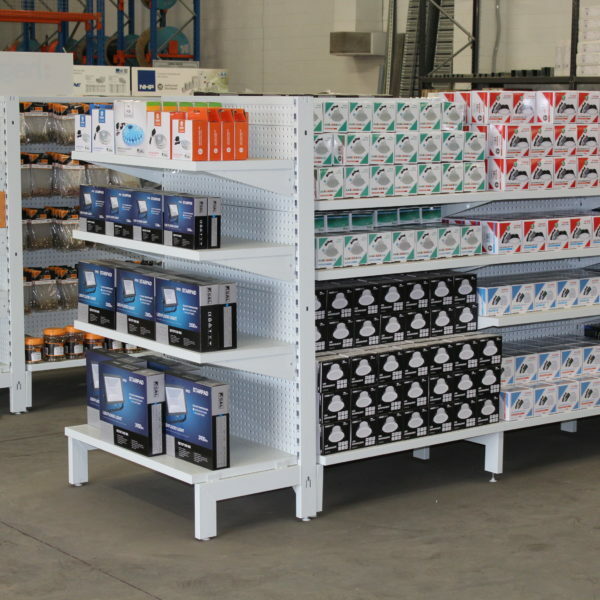 The shelves are fabricated with 0.8mm steel and the panels are fabricated with 1.0mm steel. 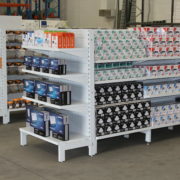 The gondola shelves are white powder coated and come with options of single and double sided racks. 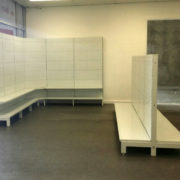 790mm internal corner bays across the back are also available.